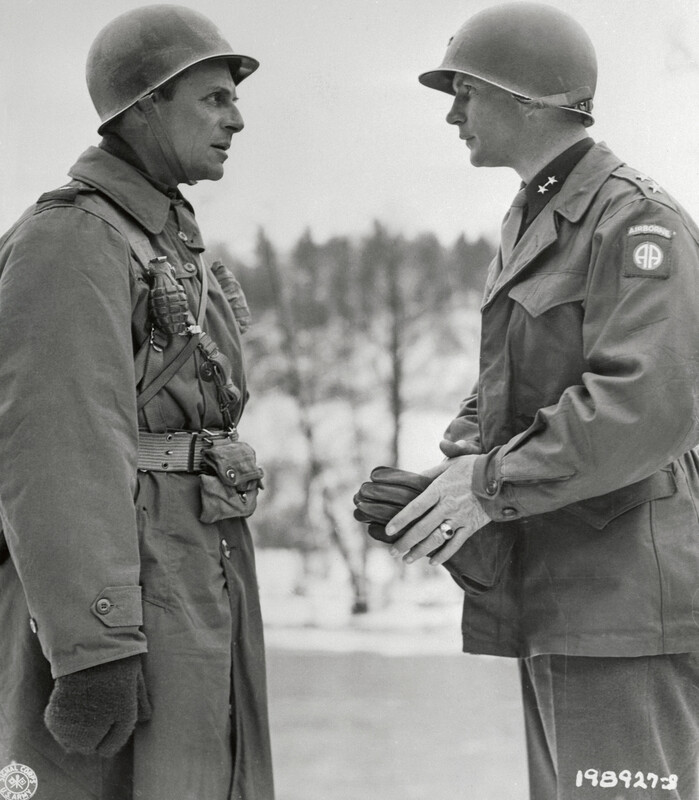 Major General Matthew B. Ridgway, Commanding General of the 18th Airbourne Corps, and Major General James M. Gavin, Commanding General, 82nd Airborne Division, talking together before an award ceremony in Belgium. March 26, 1945. Major General Matthew B. Ridgway, Commanding General of the 18th Airbourne Corps, and Major General James M. Gavin, Commanding General, 82nd Airborne Division.